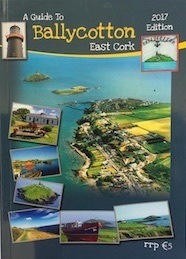 Get the guide to Ballycotton. Available from local shops or contact Helen at hcuddigan@gmail.com if you wish to purchase the guide. 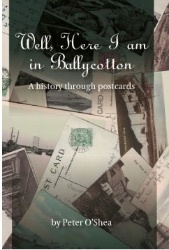 "Well, here I am in Ballycotton’ features a collection of over 100 postcards, illustrations, graphs and maps. This book gives the history of Ballycotton through these postcards. Available from local shops and also online at Ballycotton History. Experience the fresh Ballycotton sea air, be mesmerised by the natural beauty and stunning views that Ballycotton has to offer. Ballycotton Island Lighthouse Tours is a truly magical memory-making excursion. Travel in an open topped boat, hike to the Ballycotton lighthouse summit & explore the lighthouse. Take a tour of our beautiful village with the people that live here. © 2017 Ballycotton Development Company Limited. All Rights Reserved.